I am exhausted!!! We had quite an exciting day at school today! Today was our annual Snow Day, provided to us from our corporate "friend" Mattel Toy Co. Though the weather did not cooperate this morning (it was raining), there was a back-up plan. The snow was trucked in, the downhill slide was constructed, and a huge awning covered it all! 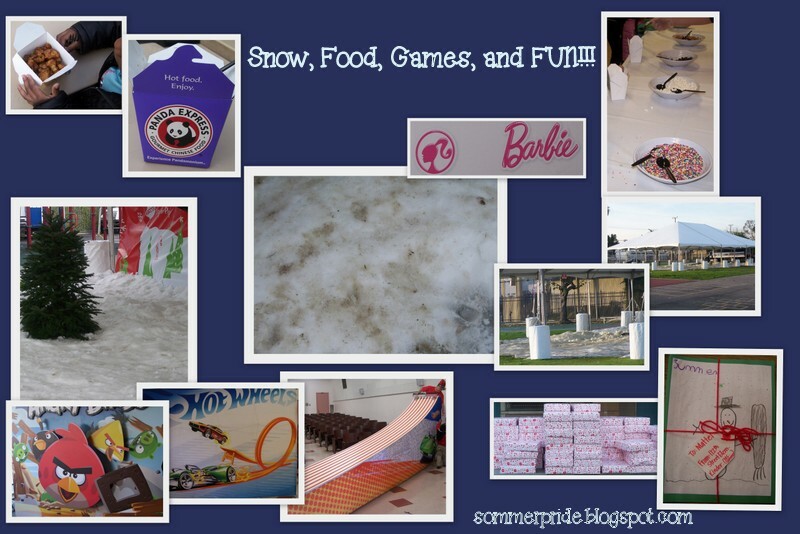 The students got to play in the snow, slide down a little hill in a saucer, eat Panda Express, decorate and eat cupcakes, race Hot Wheels cars, dress up like Barbie, pose for pictures with various backdrops, and on and on! I wonder how many packages of polaroid film they went through! And all of the students received a toy from Mattel. The whole school had a great time. One of the highlights was the Santa-led Conga Line!! 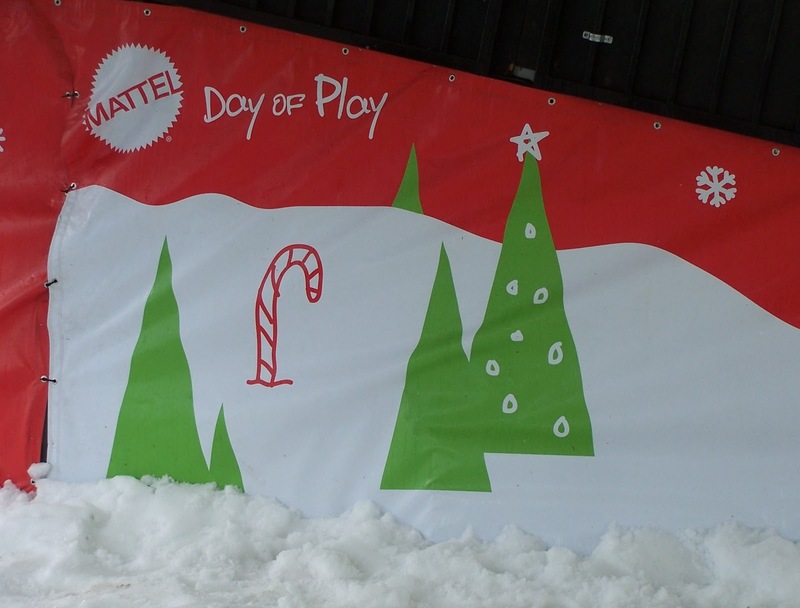 Thanks to all the Mattel employees who came to the school to hang out with the students! THANK YOU, THANK YOU, THANK YOU, MATTEL!